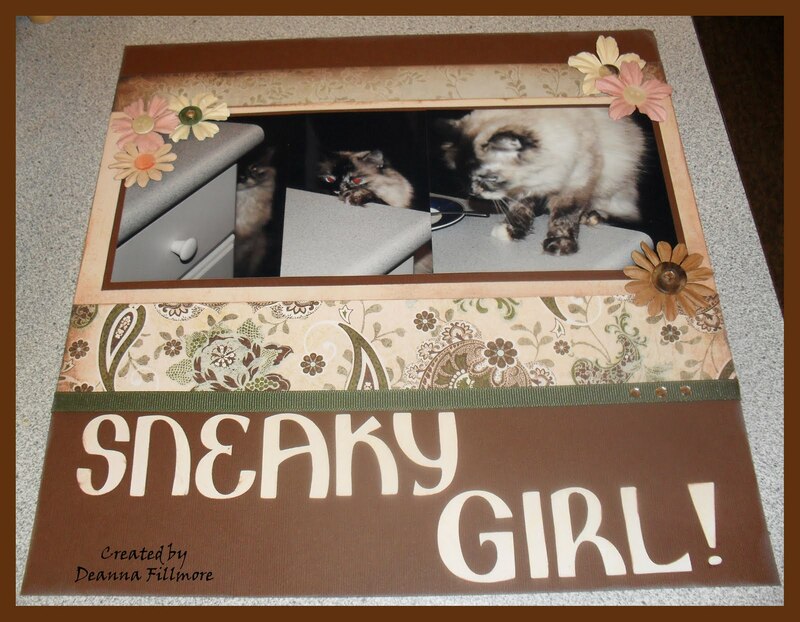 L'il Dee's Crafting with a Kitten: Sneaky Girl!!! I managed to spend some time in my studio yesterday and thought I better finish off these pages I had started last week. We had a mini crop challenge and I started this then and didn’t get a chance to finish it. 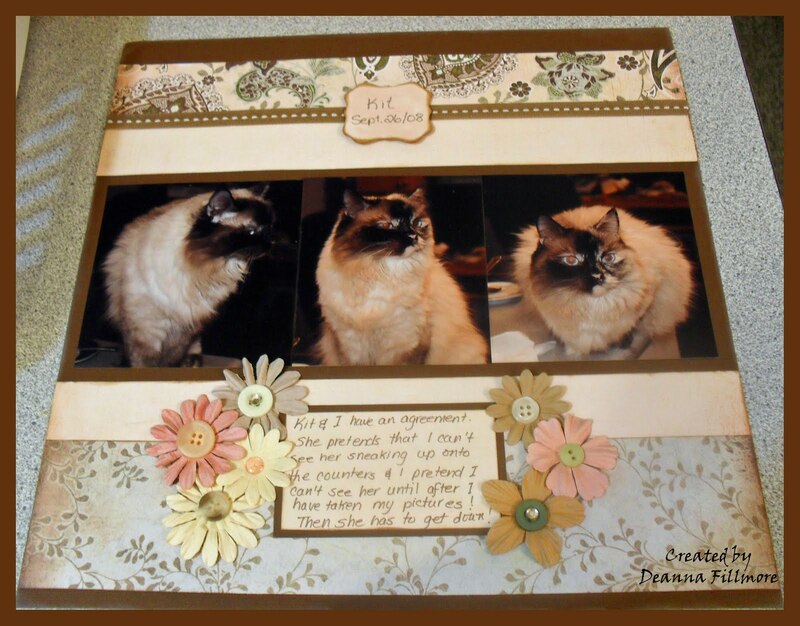 For the challenge we had to do 2 pages with at least 3 patterned papers, bling, ribbon, buttons, flowers and journaling. These are pictures of Kit sneaking up to see what I’m doing in the kitchen. I was taking pictures of some flowers and she just had to know what was going on. The patterned paper is from the Basic Grey Cappella line. The letters were cut out on the cricut using Ashlyn’s Alphabet cartridge. I used a lot of flowers, bling and buttons. I don’t like a lot of empty spaces on my page for some reason. 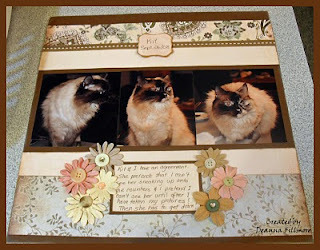 I also like to use at least 2 photos on a page, when a challenge calls for just one photo I find it really hard to do. So here are projects 16 & 17 of 30. Thanks for visiting my blog.